Facebook is involved in all aspects of our lives, be it entertainment, politics, sports or anything that requires social interactions. Unfortunately, many are using the social platform for their own agendas, which, more often than not, don't respect Facebook's rules of engagement. Now the company wants to give communities and interest groups a voice to request changes from their local and national elected official and government agencies. 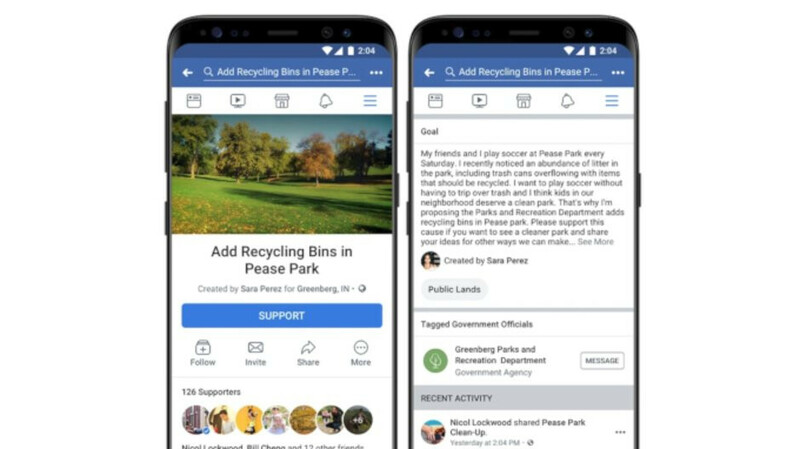 A new Community Actions feature will be rolled out to Facebook users starting tomorrow, TechCrunch reports. Community Actions and will allow users to add a title, description, and image, as well as tag relevant government agencies and officials who'll be notified about the existence of a petition. Apparently, the more people hit the “Support” button, the more likely is for a petition to become viral. Each Community Action will have its own discussion feed where those supporting it will be able to leave comments, create fundraisers, and organize Facebook Events or Call Your Rep campaigns. Everyone will be able to see how many supporters are behind a Community Action, but the names won't be visible except those that you're friends with or that are Pages or public figures. Every day, people come together on Facebook to advocate for causes they care about, including by contacting their elected officials, launching a fundraiser, or starting a group. Through these and other tools, we have seen people marshal support for and get results on issues that matter to them. Community Action is another way for people to advocate for changes in their communities and partner with elected officials and government agencies on solutions. Apparently, the feature will be managed by a combination of user flagging, proactive algorithmic detection, and Facebook human moderators. Also, Facebook users will be able to share a Community Action to their own News Feed telling their followers that they approve or disapprove it. Moreover, it's possible to launch a counter-Community Action to protest against a certain petition. After some weeks of texting, the new Community Actions feature will be available to Facebook users in the United States beginning tomorrow. For the time being, there's no info on whether or not Facebook will make it available in other countries. Yeah, it looks like a PR move. They have a lot to fix themselves, what's this? Trying to divert attention ha Facebook?